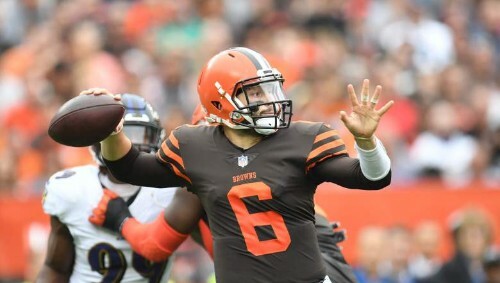 Baker Mayfield has impressed as a rookie QB, but he still has a way to go. Even though he may be young, the Buccaneers secondary should be easy enough to carve up with his array of weapons. 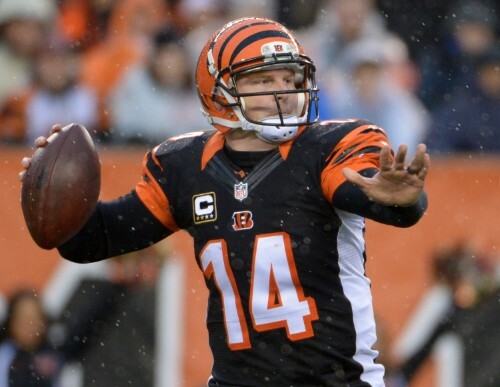 He shows poise in the pocket and doesn’t try to force plays that aren’t there. 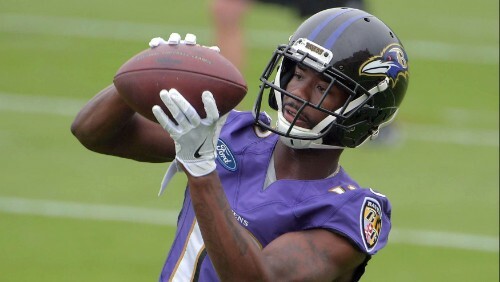 There should be plenty of opportunity to show off his playmaking ability against Tampa. Joe Mixon is turning into a beast and this is reflected in his price. We all know by now that the Chiefs can’t stop a nose bleed and Mixon is a versatile, aggressive running back that is going to give Kansas City fits. 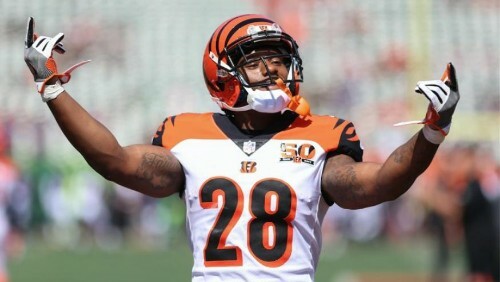 Mixon could be entering the category of top 8 running back by season’s end and while some are still dismissing this Cincinnati offense, its built to win down the stretch. 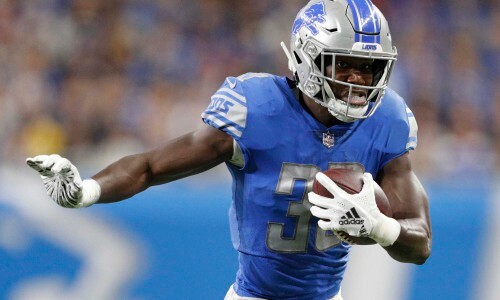 Kerryon Johnson is the rookie that broke the Lion’s streak of games without a 100-yard rusher, but he has gone quiet in recent weeks along with the rest of the Lion’s offense. The Dolphins are all together not a bad defense but they still have a bad front that can’t handle running backs and their linebackers still can’t seem to cover backs out of the field, so Johnson should be able to exploit this unit all over the field. 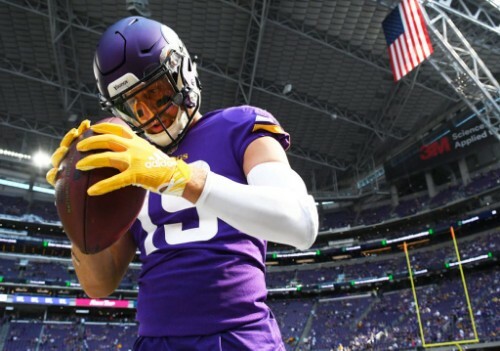 Adam Thielen is on a tear right now and I’d say he’s even underpriced at his current valuation. He’s gone over 100 yards in every game so far and against the Jets that streak should continue as the Jets have given up the 4th highest total of yards to receivers in the last 4 weeks as they don’t have any top cover corners. Look for Cousins to go to Thielen early and often once again. John Brown has always been a favourite of mine purely because I love fast, physical freaks of nature. This year in Baltimore he has really developed as a route runner and is the clear favourite in the receiving corps for Joe Flacco. The Ravens face the Saints and this year for some reason their defense has flopped and their DROY from a season ago looks nothing like he did last year. Brown can get behind the defense and score a long one. Marquise Goodwin is at a ridiculously low price even after his huge game last week. This might be because of C.J. Beathard or it could be because he’s facing the Ram’s defense this week. The Ram’s defense isn’t that great, they lack a consistent pass rush, especially outside and their corners have been injured. 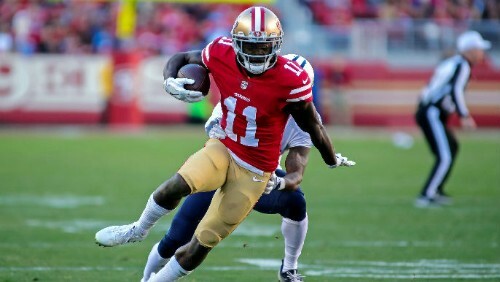 Goodwin could easily have another 100-yard game if Donald doesn’t trash the 49ers interior line. 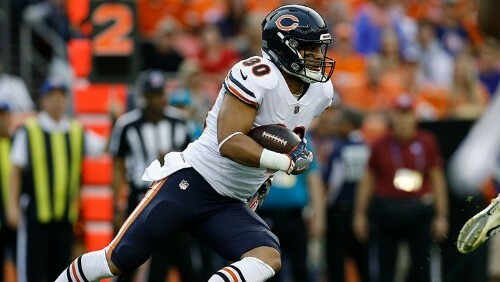 Trey Burton hasn’t had the season many fans and analysts had pegged him for. Before the Bears bye week however he exploded for 86 yards and a TD. If Trubisky and the Bears can keep the offense rolling in New England, then Burton should have another big day as the Patriots give up the 7th most points to tight ends. David Njoku is very talented but Baker Mayfield is still raw, and this offense hasn’t been firing on all cylinders. They face the Buccaneers this week and I’ve said it before, this secondary is ridiculously young and they continuously lose receivers and tight ends in particular in coverage. 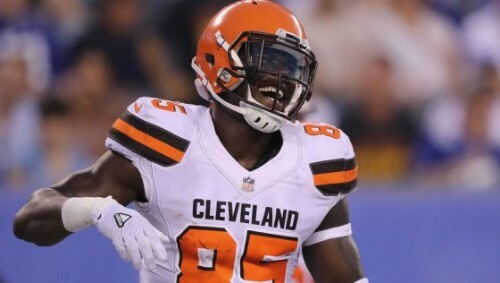 Njoku is due for a bounce back game along with his QB. Houston Texans showed out last week against the Bills which a lot of people expected them to. This week they face the Jags and the offensive showing by Jacksonville has been pitiful lately. 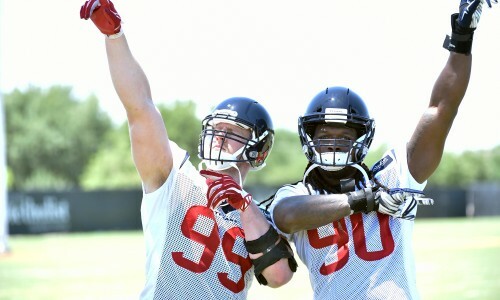 Watt and Clowney could have a field day with Bortles and this secondary, though not great, could easily make a few plays on the ball. Fournette could be back but his leg is probably not fully healed. Dallas Cowboys flashed against the Jags last week and yes, I know they’re not a master offense to try and stop but I like the Dallas defense. They face the Redskins who managed a paltry performance against a Saints defense that has let up 35 points to everyone else. 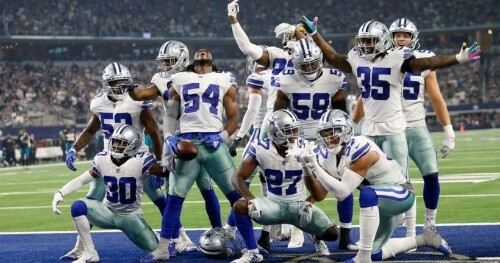 The Cowboys defense has a fast linebacking core and underrated secondary that should move them past the Skins in the race for the NFC East crown.